Remember how we talked about making initial tags before? but also because you can use that random-bits-of-paper supply (which is also huge). endless supply of free labor to do it for you. Yesssss. 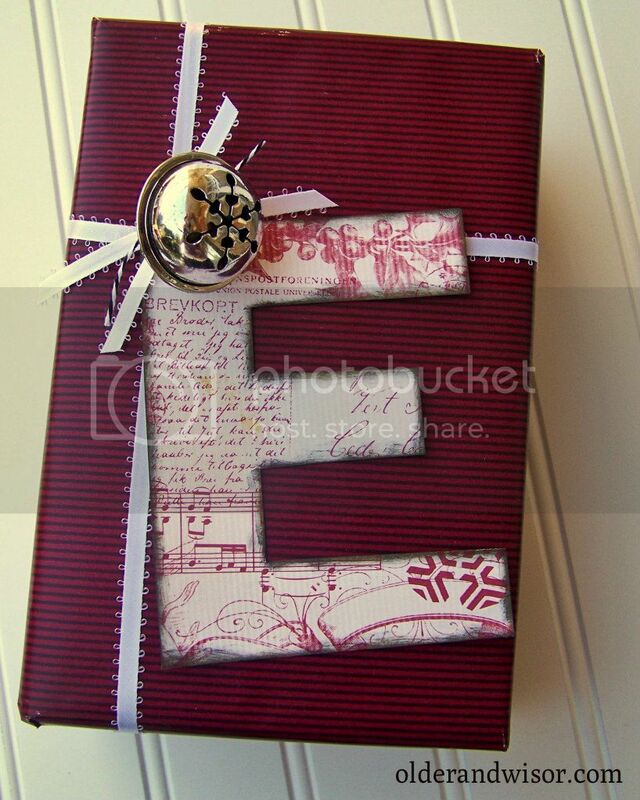 An image search will provide all the letters you need, in every style and size imaginable. I'd rather be doing something else than playing with fonts on the computer. * that B is a sticker stuck on a frozen juice concentrate lid. See that "ribbon"? More ripped fabric. Paired with Dollar Spot wrapping paper from St. Patrick's Day, it screams Christmas. I put those bells on everything and sometimes even presents too - Dollar Tree in packs of 9. They also have alphabet fridge magnets that can be spray painted if you're finicky about colors, but nobody I know would actually do that because it's most definitely crossing the city limits of Crazy Town. So pretty! We're doing Secret Santa for a teenage girl in our ward in need of feeling special...and I'm loving all your wrapping suggestions. 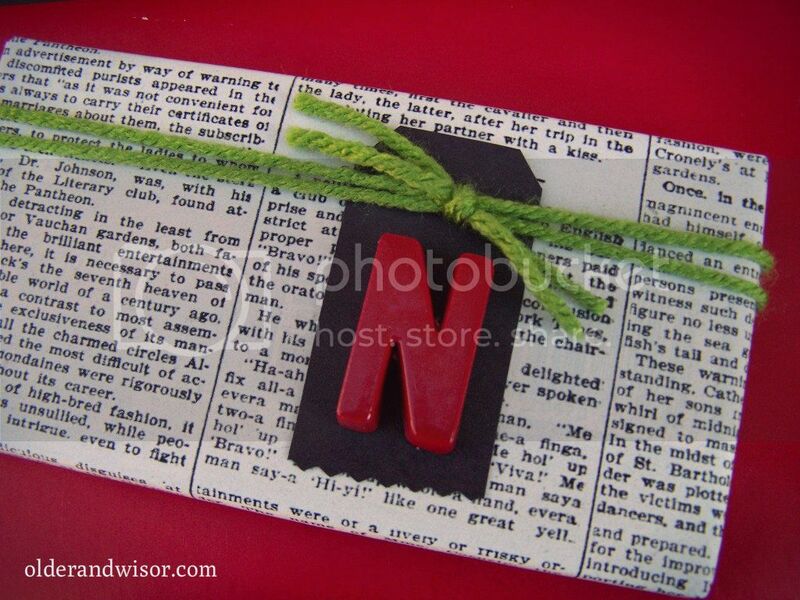 They'll be perfect for wrapping up her little gifts. These are great! 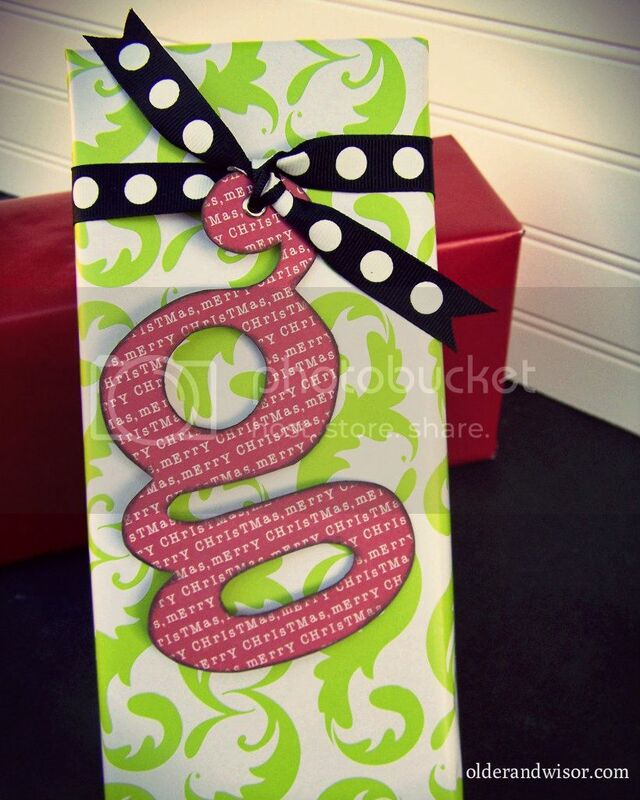 Just thought of a great way to use some of the left over letters I have in my scrapbook stash. I have some big ones that I got double of for my kids and they will work great! And those extra grunge board letters? With a little bit of ink they will be fabulous! Don't say that, Jacqueline! These ideas are NOT meant to make you feel bad, only to inspire. Sometimes people *want* to be more creative, but just need the idea first...that's the purpose of these posts. To nudge you and stretch your mind and see that you don't need anything special or any talent whatsoever to mix things up a bit. I'm sure that your presents are adorable. And if not, WHO CARES? 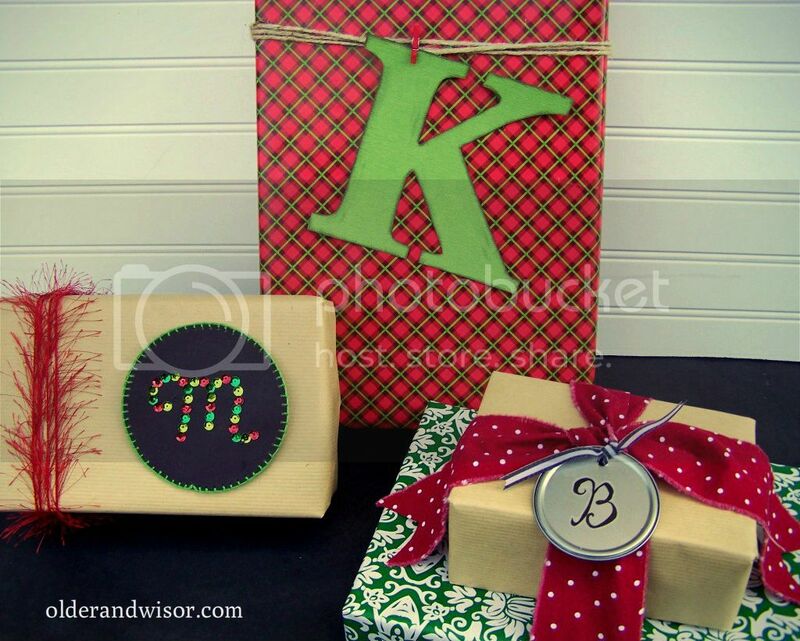 I would hate for you to come away feeling less than, when it's just gift wrapping - something that should be FUN, not just another thing to feel inadequate about. Okay, may I begin by saying that you are the funniest woman I don't know. Because you truly are. Next, the following comments you made are excerpts from your post. 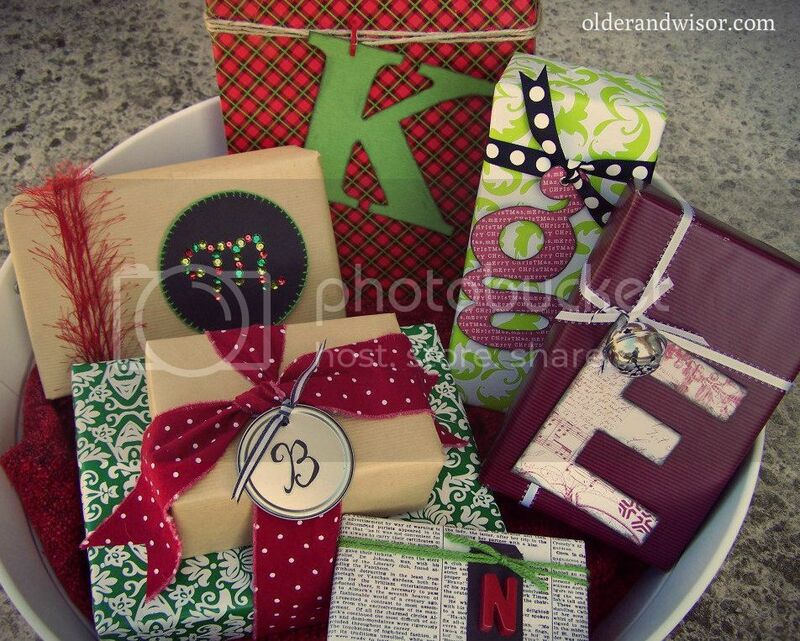 :) "I put those bells on everything and sometimes even presents too - Dollar Tree in packs of 9. They also have alphabet fridge magnets that can be spray painted if you're finicky about colors, but nobody I know would actually do that because it's most definitely crossing the city limits of Crazy Town."